FUFUFU 2010 is a fan art illustration collection by Vinhnyu that was released at the July 2010 Japan EXPO held in Paris, which features art work from Final Fantasy, Vocaloid, and K-ON! among others. 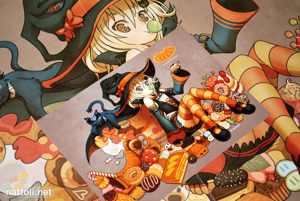 Vinhnyu also made his debut this year as a published illustrator in Japan, winning the mascot design competition for Kotobukiya's OTACOOL books, which showcase various aspects of anime fandom around the world. 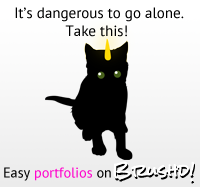 The art works span from 2008 through 2010, though the majority of illustrations are from this year. Vinhnyu's style has a cel-shaded quality about it, which really highlights the unexpected decorations on the clothing patterns and details. K-ON! 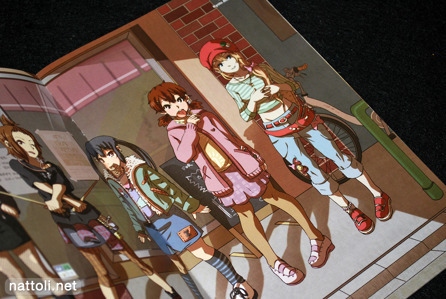 girls above, in really cute street clothes! Even though the collection is all fan art, many of the characters are originally dressed, which is something I like to see. 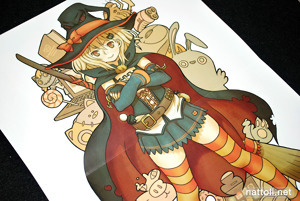 Also sold separately during the Japan EXPO were posters and postcards of Vinhnyu's original character Elyse, from his manga Elyse ~Modern Witchcraft~. Though only in French at the moment, it's going to be translated into English for the new French-Japanese doujinshi event in Paris called Comic LIVE, which will showcase artists from both countries. He really captured that native anime style! 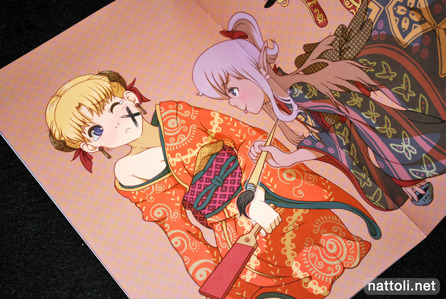 The production looks better than most doujins!